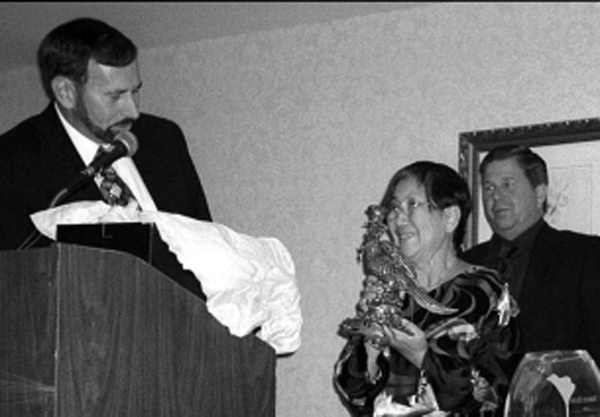 Richard Sacher was inducted into the IWGS Hall of Fame in recognition of outstanding achievements in sharing his lifelong passion for and knowledge of Nymphaea through hybridizing, public display, writings and teaching. 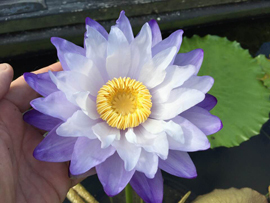 Rich’s waterlily hybrids have been recognized internationally with his Nymphaea ‘Star of Zanzibar’ winning the RHS Banksian Award at the IWGS 2000 New Waterlily Competition. Amonghis creations are N. ‘Mahogany Rose,’ N. ‘Black & Blue,’ and N. ‘Kitty Sacher’ (named for his mother). 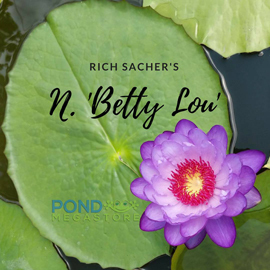 The publication of Rich’s “Hybridizing Waterlilies: State of the Art” by the IWGS in 2006 is a testament to his knowledge and generosity in sharing this knowledge. His extensive travels have resulted in friendships worldwide and he has shared many hybridizing techniques in this booklet that he has both learned and pioneered. 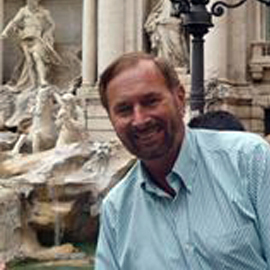 Rich is a founding and life member of the IWGS, a past board member and has been a frequent lecturer and writer for many groups and publications. 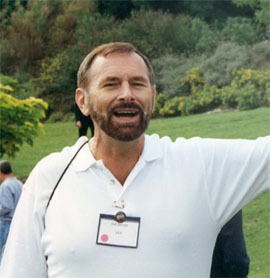 hybridizer and IWGS Hall of Fame member Charles Winch. 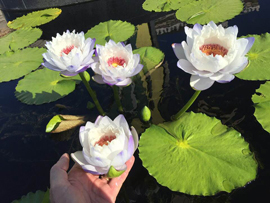 In 1990 Rich and his partner Bill Dailey opened a retail water garden center—American Aquatic Gardens. 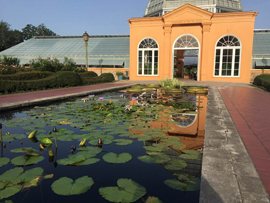 This shop features a world class presentation of fine statuary, sculpture, garden art, garden gifts and of course fabulous waterlilies all grown to perfection.